Recently Audrey Davis-Sivasothy, author of the amazing book, The Science of Black Hair: A Comprehensive Guide to Textured Hair Care , reached out to me and sent me copy of her latest book The Science of Transitioning: A Complete Guide to Hair Care for Transitioners and New Naturals . I had no doubt in my mind that it would be as awesome and thorough as TSBH was and I was right. 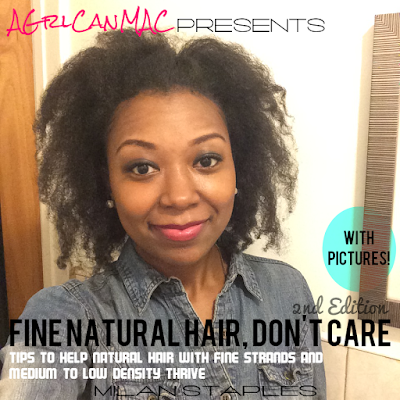 This is a phenomenal resource from women (and girls) transitioning from chemically relaxed or heat damaged hair (from excessive straightening) to natural hair and newly naturals. I wish this was around when I was transitioning and went natural 7 years ago. It would have been a huge help to me. Instead I had to scour books, Youtube videos, hair forums and blogs to piece together all the info in this book. Now it's all in one convenient location to add to your library and easily refer to. Lucky ducks! I give this resource 5 out of 5 stars.